…and outstanding at sunrise. 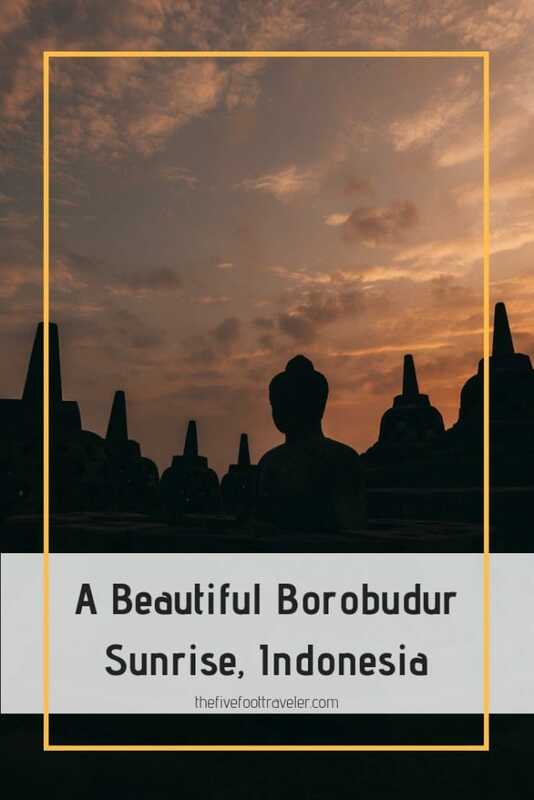 Get ready to set your alarm clocks for 3am because a Borobudur Sunrise Tour is an experience that you certainly don’t want to miss. With 4 million visitors a year, it is no wonder that it’s Indonesia’s biggest tourist attraction! Interestingly enough though, most of the “tourists” are, in fact, locals. Tickets do not need to be purchased in advance, however, I do recommend getting there early as it gets extremely crowded. After purchasing our Borobudur Sunrise Tour tickets at the on-site Manohara Hotel, we made our way to the entrance of the complex at 4:30am where we then waited 30 minutes until it officially opened. I know the idea of impatiently standing in the dark at that hour sounds less than pleasant, but the feeling of being the very first person into such a world-renowned site is like no other. If you’re the first person in, as I was, there will be someone guiding you along the path to the foot of the temple. Climb up to the top and get ready to witness a stunning sunrise. 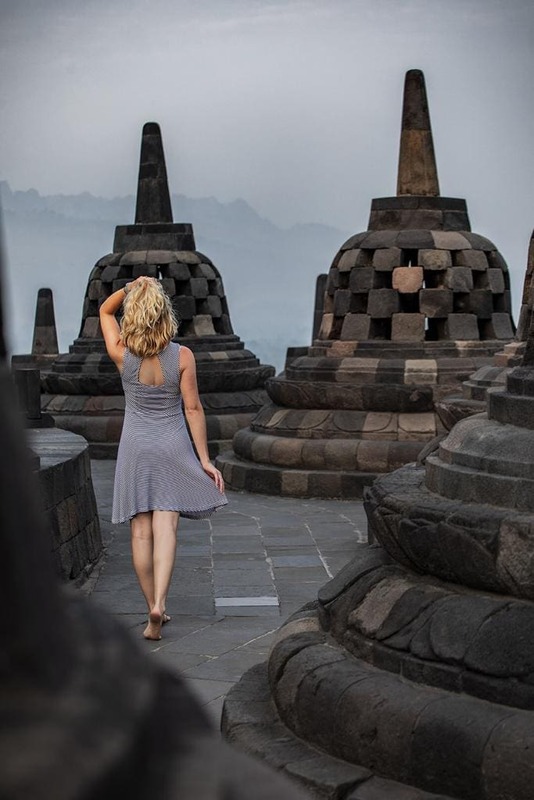 As the twin volcanoes in the distance begin to light up, the fog starts to roll over the trees in the distance and the Borobudur Temple itself comes to life; take a moment to soak in the beauty of where you are and preservation efforts that have taken place that allow you to even be there. There’s no official documentation on Borobudur, but it is said to have been built in 9th Century – 300 years before the creation of Angkor Wat – and took about 75 years to complete. Borobudur consists of 9 platforms in a pyramidal shape, with 6 square platforms housing the Buddhist reliefs (documenting the journey from Siddhartha to the enlightened Buddha) and then 3 circular platforms enveloping the large central dome on top. 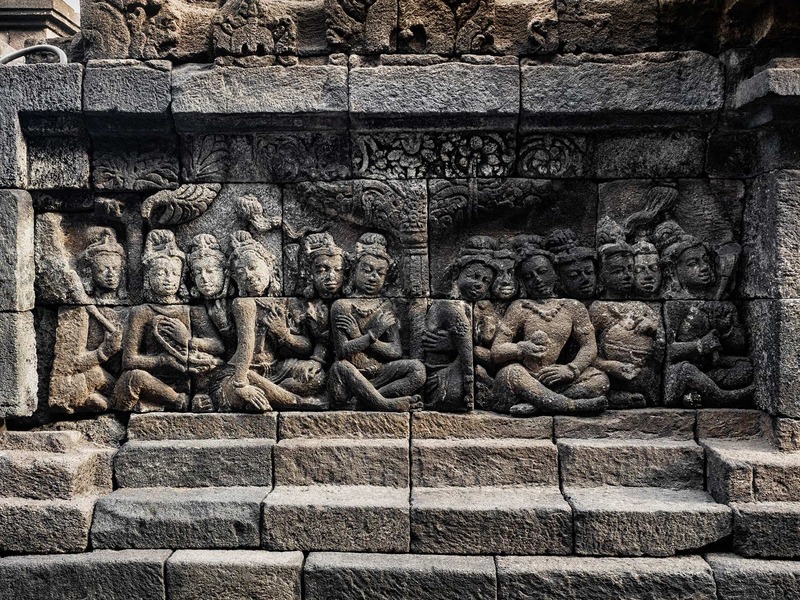 Crazy enough, there are 2,672 reliefs and 504 statues within Borobudur, with 72 Buddha statues surrounding the central dome. Borobudur hasn’t been an active temple since the 9th Century though. In fact, it was completely abandoned…and no one knows when or why. Some say it was because the king moved the capital city away from the area due to a series of earthquakes in the 10th Century, while others say it could have been closer to the 15th Century when Islam became the dominant religion. 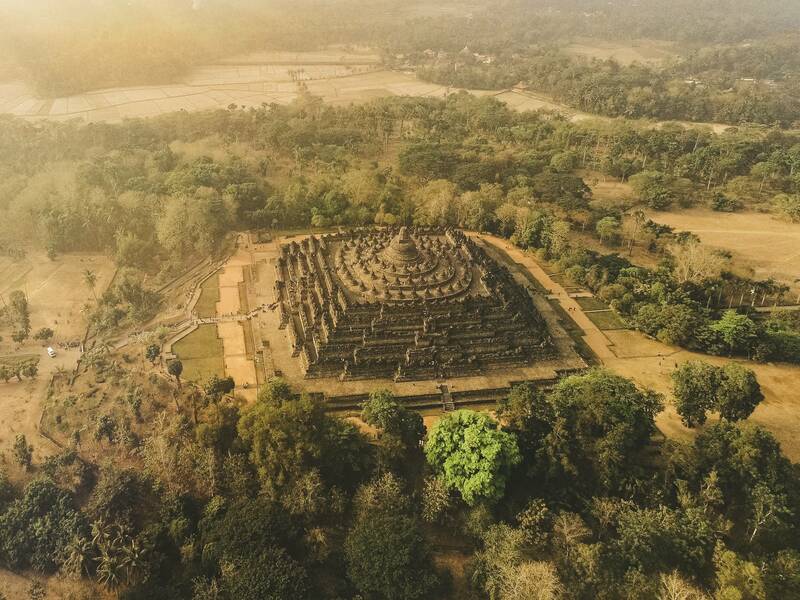 What we do know is that Borobudur remained hidden for centuries under volcanic ash and wild overgrowth. 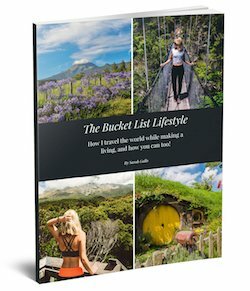 It wasn’t until the Dutch re-discovered the site in 1806 that the folklore people heard about became true; the site was entirely unearthed by 1835 despite being in such a dangerous state of collapse. 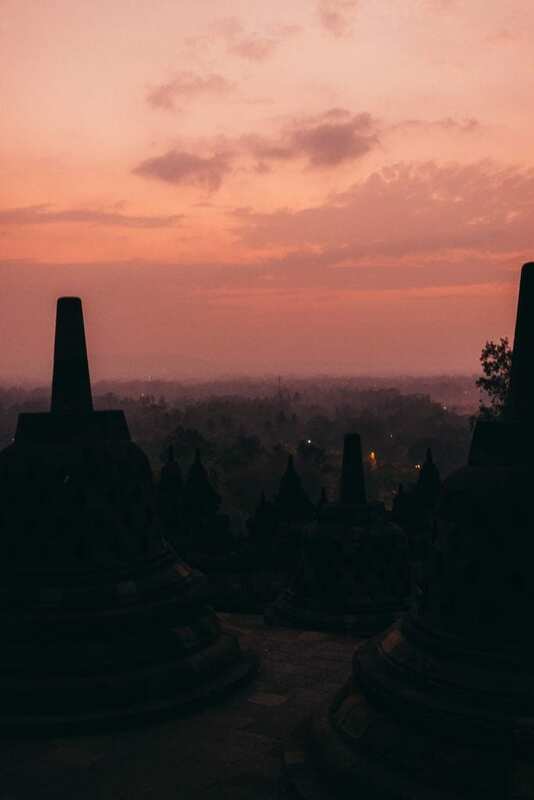 Thankfully, the Government of Indonesia and UNESCO worked together to restore Borobudur to all of its glory between 1975 and 1982 using the original materials. It was then deemed an official UNESCO World Heritage Site in 1991 based on three criteria, with the most interesting being, “Laid out in the form of a lotus, the sacred flower of Buddha, Borobudur Temple Compounds is an exceptional reflection of a blending of the very central idea of indigenous ancestor worship and the Buddhist concept of attaining Nirvana. The ten mounting terraces of the entire structure correspond to the successive stages that the Bodhisattva has to achieve before attaining to Buddhahood.” (UNESCO was able to verbalize that far better than I ever could). Today it symbolizes Indonesia’s past grandeur and remains an icon of the country. We spent about 4 hours during our Borobudur Sunrise Tour. After capturing sunrise (and dodging the hoards of people that also come to witness the beauty), we spent quite a while exploring the reliefs, peeking into the stupas, and taking in the vistas. I genuinely could have spent all day exploring the different areas, or just perched up there soaking in the views. But, I also knew that there was an incredibly delicious breakfast and comfortable bed waiting for me at the Plataran Heritage Borobudur. Where to Sleep in preparation for your Borobudur Sunrise Tour? When you have to go to bed early, wake up early for the Borobudur Sunrise Tour, and want to sneak in a quick nap, it only makes sense to stay as close as possible to the site you plan to visit. The Plataran Heritage Borobudur is located just five minutes from the Borobudur Temple and is the absolute perfect spot if you’re looking for a bit of luxury, delicious local foods, and convenience, Designed with colonial charm sprinkled with bits of Indonesian culture, the Plataran Heritage Borobudur will far and exceed your expectations. 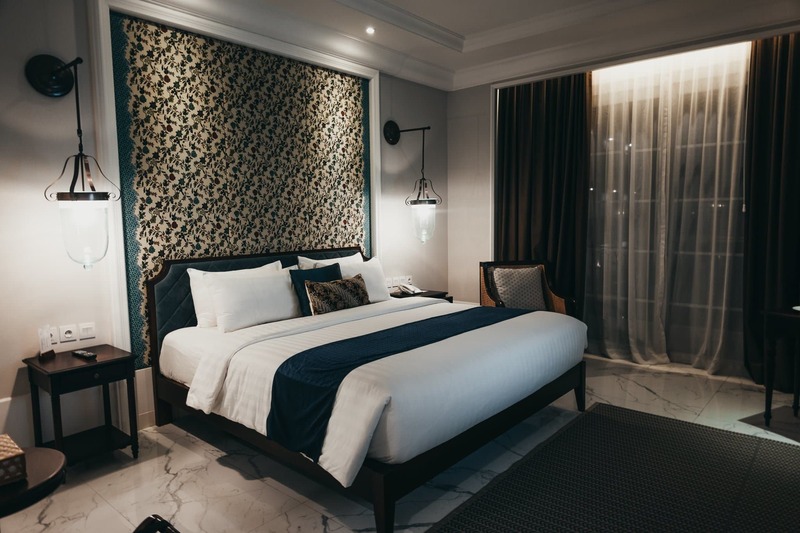 Whether you’re looking for a spacious room to get some work done, to swim in a lovely infinity pool, to toast with your friends on the rooftop bar, or to indulge in local Indonesian delicacies, the Plataran Heritage Borobudur has it all, just steps from the Borobudur Temple.